RARE RED REFLECTIONS: In the icy cold winter sunsets you sometimes get a rare colorful surprise. 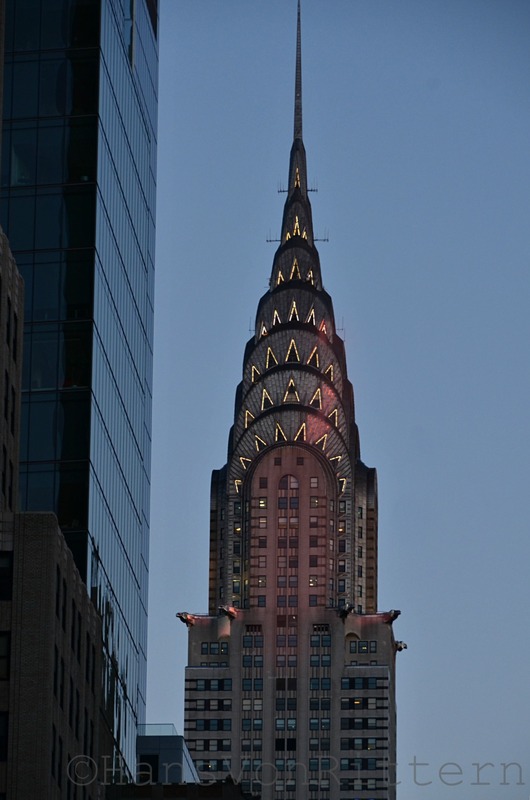 I was heading up 42nd Street and noticed a rather unusual sight – the Chrysler Building had color, red color! At first I though it must be a new seasonal lighting, but then I noticed they were just streaks of red, the dramatic effect of a winter’s sunset causing rare red reflections. . .